Blog Containers out the Wazoo! Seal it. Store it. Take it with you. Houseware Warehouse has any type of container you need. You won’t believe the selection! We have everything from collapsible tub containers for easy storage; to cereal containers with lids in assorted colors; toothpick pocket packs for people dining on the go; “car-go” containers that fit in your car’s cup holder; mini storage containers with air tight lids for bite size snacks, spices, toppings and art, craft, sewing and desk storage. They can fit in your backpack or purse for easy transport. There are expandable bread containers; cake carriers and holders; collapsible cupcake and cake carriers; a collapsible salad spinner; a ten-piece container set with easy pour lids; storage baskets in an array of shapes and sizes; flatware cylinder storage; nesting storage containers; a cheese pod for open bricks of cheese; herb savers; grease containers; microwave and dishwasher safe storage containers; a saltine storage container; soap dispensers; condiment squeeze bottles; even an “eggs to go” storage container for hardboiled eggs and, believe it or not there is more! Houseware Warehouse, providing professional grade, affordable kitchen supplies for over 20 years, has everything you need to meet your culinary needs. 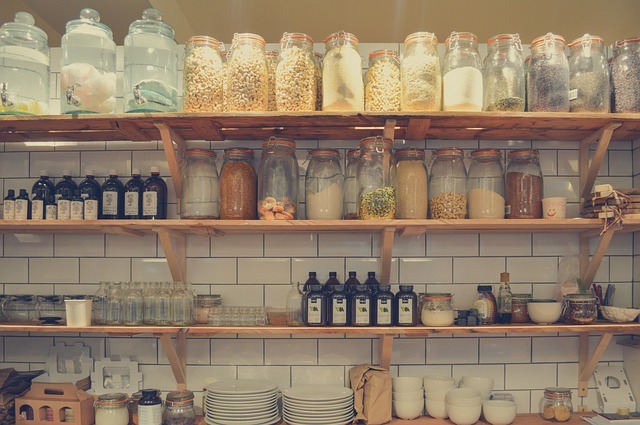 Aside from a wide assortment of containers, Houseware Warehouse offers everything from the finest cutlery, to bakeware, cookware, electric appliances, cutting boards, cast iron cooking supplies, beautiful decorative ceramics, spices, flavorings and more. Check us out online to browse through our enormous inventory!